Smoked Ricotta Cheese – I know not everyone has a dedicated stove top smoker but I do know that we all have a large stock pot handy. I’m going to show you an easy way to convert that pot to a stove top smoker by using micro wood chips, aluminum foil, and a roasting rack. I’ll explain to you a combination hot/cold smoking method to bring a smoke flavor to whole milk ricotta, that will allow you to use this product in any recipe calling for traditional ricotta. Find your stock pot and roasting rack, and let’s get smoking! Once you’ve selected a stock pot to use for the smoking, the preparation of the pot is quite simple. Start by placing 2 sheets of heavy-duty aluminum foil in the bottom of the pot, allowing it to go up the sides slightly. Then select the micro wood chips of your choice – I’m using a Sugar Maple Minuto® wood chip in size #6 – and spread into a thin layer on the foiled bottom. Add a roasting rack. Mine is round to fit easily in my pot. I also like to line the lid of the pot in foil as all hardwood contains creosote which can cause some discoloration to the pot. The foil will protect this from happening and makes clean up a breeze. Then place the prepared pot with the lid in place over a medium-high heat and allow the chips to heat until they are consistently producing smoke. This will take less than 15 minutes. 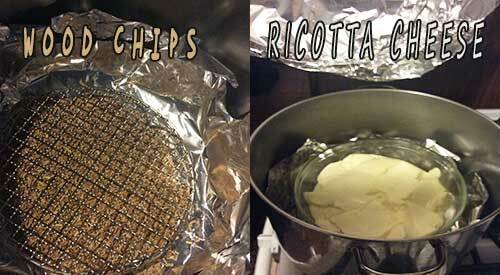 Once the chips have started to combust and produce smoke vapor, it will be time to add the ricotta. I am doing 3 pounds of whole milk ricotta as I plan to make a dessert pastry horn and then keep some spare smoked ricotta cheese for pasta recipes. After 12-15 minutes of heating, lift the lid and place a heat safe container of the ricotta on the rack inside your smoking pot. Secure the lid in place and allow this to stay on the heat for about 5 minutes. Then shut the heat off and leave the pot with the ricotta inside untouched for about an hour. Let the smoke infusion occur with this cold smoke technique. Tasting Notes: Any hardwood can be used for the smoke infusion but note that by retaining the pot lid in place, you are limiting the oxygen that can enter the pot. This produces a much bolder smoke infusion than is common with the same wood used on a traditional smoker or grill. Here’s something to keep in mind with this stove top DIY smoking technique. I have a very tight seal on my pot which means it doesn’t take a lot of wood chip product to infuse a smoky flavor in the ricotta. Plus, the fat level of this dairy product attracts smoke vapor well as this is high in water content which smoke vapor is naturally attracted to. If after about an hour, and after you’ve sampled the smoked ricotta, you still desire more smoke, simply turn the heat back on for about 10 minutes to stimulate the chips for additional combustion. Then repeat turning off the heat and allowing the ricotta to sit absorbing the smoke for the set amount of additional time you want. Once done, refrigerate the smoked ricotta until you are ready to use it, keeping this covered well. If any liquid accumulates while refrigerated, simply pour off before using the smoked ricotta in a recipe. To get your recipe ideas stimulated, I’ll offer up my Smoked Ricotta Pastry Horn recipe which is super easy, fabulous looking, and can be made with an assortment of filling options. Keep watching our website for the announcement on this recipe release. What’s your favorite food to stove top smoke? Leave us a comment to opine and subscribe to get all our postings on tips, techniques and recipes. Bringing innovation to wood fired cooking with recipes, techniques and the science behind the fire, smoke, and flavor. That’s SmokinLicious®. -TO THE SMOKE THE CHESTNUT GOES! I love the idea of making your own dry rub for a variety of reasons, but primarily to allow the cook to control the amount of salt and sugar, two ingredients that are in high ratios for many jarred rubs. This guide is intended to provide tips to achieve a balance of flavors in the ingredients selected. I’m also going to provide listings of ideal ingredients for specific proteins to help stimulate your creative juices. Before we begin with the actual ingredients for dry rubs , let’s discuss the composition of meat and poultry and why you need to be aware of water content. Although you may not think of water this way, water is a chemical and it is the dominate one in meat, followed by protein and then fat. For a less active, mature, “fat” animal, water can be 45% of the composition but for a younger, leaner animal it can be as much as 72% moisture. Remember, fat cannot hold water. Texture, color and flavor are affected by the amount of water in the muscle tissue. Water that is retained during forces of pressure and temperature is referred to as “bound water” while water that is lost is called “free water”. You can change the capacity of the muscle to hold the water by disrupting the muscle structure. Examples would be grinding, freezing, chopping, thawing, and salting meat. Hopefully, you are aware of the ingredient rule that states the first few ingredients listed on a nutritional label are the highest percentages of that item. That means, when you see salt and sugar listed in the top three ingredients, note that those dominate the rub . Research has shown that higher salt content works very well with cuts of beef, fish, and wild game. Pork tends to do well with rubs that contain higher sugar levels. However, I tend to avoid putting salt into my rubs, preferring to add by hand when the food is ready. Let’s breakdown the types of salt and sugar so you know how to incorporate them. Table or Refined Salt: a fine grade salt that is made by dissolving in water which removes everything but sodium chloride. These usually have an additive to prevent them from caking in dispensers and may also contain an iodine additive. Kosher Salt: a coarse grain that may have an anticaking additive, it is slower to dissolve on food surfaces. Sea Salt: most are refined producing just over 99% sodium chloride but the grain size can vary from brand to brand. Curing Salts: these should never be used as an ingredient in a rub as they are designed to preserve meats, which means they include nitrite and possibly nitrate. White Pepper: considered the gentle pepper, it’s light in color and flavor with just a warm heat undertone. Black Pepper: this can be fine or coarse and has much higher heat level than white and some cayenne peppers. Cayenne: although I’m listing this separately due to its popularity, cayenne is a chile powder known as ground red pepper, the heat level is front of the line which means you need to add small quantities and taste before adding more. Chile Pepper: these are the peppers that have a wide variety of heat levels. Common names include: Ancho, Chipotle, Pasilla, New Mexican, Guajillo, Habanero, Jalapeno, Bhut Jolokia, Aji Amarillo. These are the ingredients that provide for the savory quality to a rub. To me, they provide the depth of flavor to a rub. Some options include: cumin, chili powder, paprika, allspice, clove, cinnamon, ginger, coriander, garlic powder, onion powder, chervil, thyme, anise, nutmeg, mint, basil, rosemary, sage, tarragon, mustard seed. Now that you understand the three primary components to a good rub, let’s give you some options based on protein. Beef Option #2: 2 tablespoons each of the following: ground ginger, garlic powder, cinnamon, cocoa powder, Sesame Oil, Worcestershire sauce, Hoisin sauce, Honey. Plus 30 whole allspice. Combine everything with a mortar and pestle. There you have it! A basic guide to get you on the way to making your own, customized dry rubs that will be perfectly balanced. What is your favorite dry rub recipe? Leave us a comment to share your views. Bringing you informative recipes, techniques, and the science beyond the fire, smoke, and flavor. That’s SmokinLicious®! 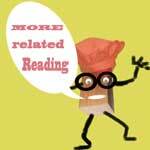 More related reading on making Dry Rub, smoking & Grilling tips and technique see our directory on previous blogs! Dr. 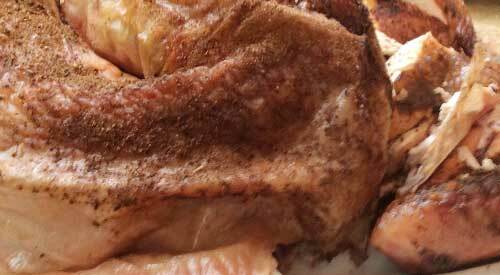 Smoke: It is always fun, flavorful and fancy to make your own dry rub! Our not so smokey Smoked Turkey is from cooking this on the gas grill, not on a smoker. We selected this photo because of the great color- not dark like a traditional smoker can impart! Turkey is one of those items that is generally made for a special event – Thanksgiving, Christmas, New Year – and not associated with everyday cooking. I’m here to tell you that it’s easy to enjoy turkey any time of year when you use a gas grill for the cooking and smoke infusion. All you need is a turkey (preferably one under 15 lbs. ), 6 wood chunks, a water pan with hot water, and your favorite gas grill. I’m fortunate to have a local fresh turkey farm, Sprague’s Turkey Farm in Portville, NY, close by so I’ve ordered one that is under 14 lbs. Before preparing the turkey for marinating overnight, I first need to remove the parts that are commonly found inside the turkey. This includes the neck, heart, liver, and gizzard which is part of the turkey’s digestive tract. These parts do make for great stock so if you can, save them to add to a stockpot down the road. Once the organs and neck are removed, it’s important to wash the entire turkey under running water. After a thorough wash, pat dry with some paper towels and place in a shallow pan for the rub application. After washing and patting dry the turkey, I trim the excess skin from the neck area and then begin applying the rub. I’ve combined an assortment of herbs and spices for my rub as I tend to like a potent mix of ingredients to balance the fresh meat and smoke. 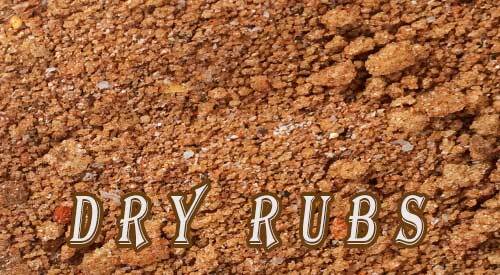 My rub includes: allspice, clove, basil, cumin, cardamom, coriander, cinnamon, celery salt, garlic and onion powder, oregano, orange and lemon peel, paprika, and ancho chili powder. I make sure to cover the entire surface of the bird. I add a few drops of avocado oil and then apply additional rub. This will be refrigerated overnight to allow the flavors to marry and penetrate to the meat. Tasting Notes: Feel free to incorporate different herbs and spices in your rub as there are no rules when it comes to combinations. As you can see in some of the photos, this was a cold day at the grill, with a temperature below 25°F. I prepare my LP/Gas grill by first removing one of the grill grates, exposing two of my burner shields. To one of the shields I place 3 double filet wood chunks from SmokinLicious®. Now I lite only two burners; the one with the wood chunks and the one directly next to that. I set these burners to medium heat to start. Just before I’m ready to grill, I check the temperature readout and adjust my heat setting until I hit my target temperature of 325°F. Time to add the rubbed turkey to the unlit side of the grill and my water pan right next to the bird. I insert a thermometer and close the lid. Basically, for the next couple of hours, I just need to monitor that the water pan has enough hot water in it and the bird gets spritz with water to keep the skin moist. Tasting Notes: Although I’ve placed my water pan to the side of my turkey, between the lit and unlit sides of the grill, you can use this as a drip pan and place this directly under the turkey. I elected not to do this today due to my low outdoor temperature. If you’ve maintained the steady temperature of 325°F and hot water in the drip pan, you won’t need to stay with the grill during most of the turkey’s cooking time. My skin has crisped up thanks to maintaining moisture both on the bird’s skin and in the cooker with my water pan. I remove the turkey and take it to the kitchen where I cover it for about 30 minutes prior to carving. It’s super tender, moist, with a crunch to the skin. The best part is that the smoke is subtle and does not over power the fresh meat. That’s why the two-zone method of smoking is perfect when your feeding a variety of tastes. Those that tend to avoid smoked foods will find this full of flavor that is well balanced due to our rub and consistent cooking temperature. My turkey of 13-1/2 pounds took just about 4 hours to finish with very little effort on my part, even with a 22°F outdoor temperature and wind chill. The best part is my oven was free to cook a bunch of side dishes so everything was timed perfectly for the table. What’s your favorite preparation for turkey? Bringing innovation to wood fired cooking with recipes, techniques and the science behind the fire, smoke, and flavor. That’s SmokinLicious®. 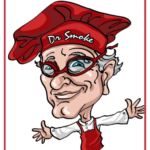 Dr. Smoke- everyone forgets about the extra oven almost everyone has- the lp/gas grill! So this year we prepared our turkey on the gas grill with wood chunks providing the smoke! Our Roasted Tomatoes on the gas grill with smoker box containing two Double Filet wood chunks! Many of us love to grow vegetable gardens but soon find we have an overabundance of certain items like tomatoes (though these are technically a fruit). I’m here to give you a super easy method of bringing tenderness, juiciness, and great wood flavor to this summer favorite. Collect your favorite tomato varieties from the garden and meet me at the grill for this great, easy technique. With a water content of about 95% and very low caloric value, tomatoes are rich in lycopene and antioxidant linked to heart health and cancer risk reduction. With lots of colors and sizes to choose from, there’s a variety for everyone. After picking my ripe cherry and grape tomatoes from the vines, I give them a thorough wash and allow to air dry. Since I’m only using small sized tomatoes, I only need to slice the grape ones in half while the cherry size is a perfect fit to just grill-roasting whole. In the meantime, start the grill by lighting the burners on only half the grill. On that side, I place a smoker box that contains 3 small hardwood chunks. This will provide the wood flavoring to the tomatoes. I add about ¼ cup of oil to the tomatoes and mix to coat. With my pan ready, I place it on the unlit side of the grill and close the lid. My lit burners are set to medium-low heat which will maintain a cooking temperature of about 300-325°F. Tasting Notes: Although I used avocado oil since you are not grilling over direct heat, you can use other oils such as olive, almond, walnut, grapeseed, coconut, sesame, canola, etc. As this is a grill-roasting technique that doesn’t use direct heat but rather the radiant heat built up in the grill, there is no need to do anything during the actual cooking. You’ll know when these tomatoes are ready by the amount of juice that is produced and the wrinkled skin that develops. They will be super tender yet still hold their shape. In fact, research has shown that cooking tomatoes raise the level of beneficial compounds called phytochemicals, making the tomato healthier when cooked. Now you have an opportunity to do so many things with these super flavorful, healthy, and tender tomatoes. Tasting Notes: If using a charcoal grill, still use a two-zone cooking set up meaning charcoal on only one side of the grill. Be sure you only cook with hot coals, no flames. This type of grilling can have more challenges to steady temperature so make sure you check the tomato pan more frequently. What to Make with These Roasted Tomatoes? Here’s one use for your great wood roasted tomatoes. I take a great baguette and added some wood smoked beef shank. Next, I top the meat with a crunchy salad mix with a bit of siracha dressing, then add a generous helping of our wood roasted tomatoes. Yum! Don’t forget, these tomatoes freeze well so bundle some up in a freezer safe storage container and you’ll be ready for pop-in guests. They can easily be defrosted in the microwave and reheated on low on the stovetop. Serve with bread or on their own as part of charcuterie board and you will have a hit. Dr. Smoke add special taste infusion with this Roasted Tomatoes technique! Grilling our Smoked Beef Shanks on the Gas grill with Double filet wood chunks in our smoker box! I’m going to make a confession. I rarely select steak to grill anymore. 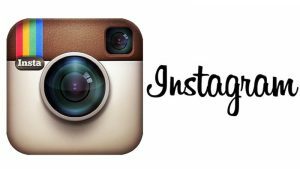 The reason – there are just too many other options that I simply prefer. Like beef riblets, short ribs, and shank. Oh, the bone-in shank! That is my favorite. I’m going to give you a wet rub recipe and a grilling technique you can do on the grill of your choice, though I’ll be picking the easy gas grill. Get to the butcher and select some premium bone-in beef shanks then visit SmokinLicious® online for some wood chunks. Then get ready for the best grilled & smoked beef shanks you’ve ever had! I tend to lean toward some Asian-inspired ingredients for my rubs, especially those that are a wet rub. While working on the rub, be sure you’ve started your grill so it will be ready to go when the meat is rubbed. Remember, we are using a two-zone set up for the grill so burners lit only on one side of the gas grill with the wood chunks placed on the heat shield or in a smoker box placed over the lit burners like I’ve done. Or, for the charcoal/wood grill, hot coals banked to one side of the grill. 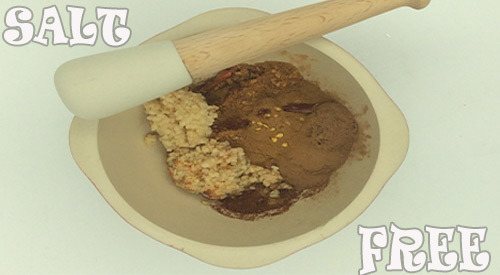 Start by combining the dry ingredients, followed by the wet and combine with mortar and pestle until a paste is made. Then coat the beef shanks on both sides and the edges with the wet rub. I line a disposable foil pan with a roasting rack, then place the shanks on the rack. 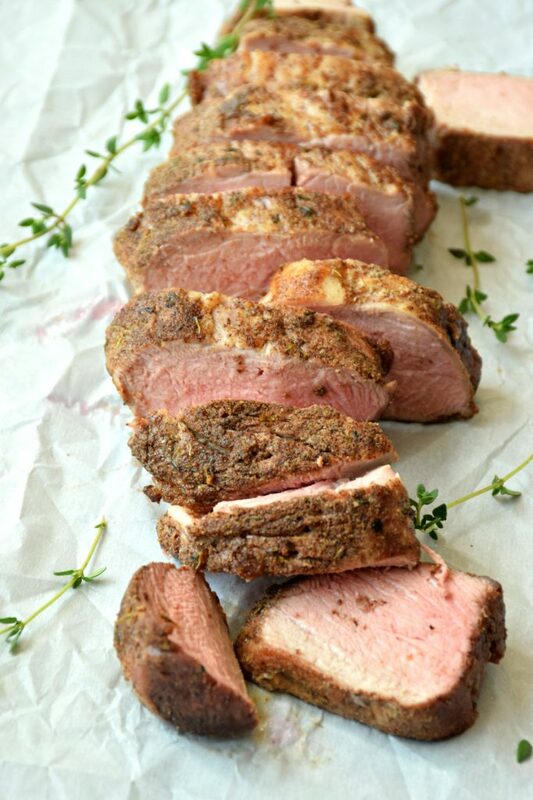 Tasting Notes: don’t be afraid to use a store-bought rub and simply add oil and/or garlic/spice pastes. There is nothing off limits when it comes to producing a rub. Time to open the pre-heated grill and start the cooking of the shanks. The wood chunks should be smoking well at this point so add the shank pan to the unlit side of the grill. Leave untouched for at least 40 minutes. Return to check the internal temperature. Flip the shanks and rotate the foil pan. Leave until the meat registers 140-145° F.
Tasting Notes: select the hardwood you like or use a combination of hardwoods like I did with my shanks – maple, hickory and white oak. When done, I simply slice against the grain for beautiful, flavorful beef that has a controlled infusion of smoke. Here’s a tip: be sure you enjoy the marrow in the bones! It is very rich so if you elect not to eat it when the meat is done, use it with onions and shallots to make a confit, or use it with a rich pasta dish to make the flavor of the richness even more stunning. Or, combine the marrow with an acidic dish like an arugula salad with lemon and capers. And don’t forget to save the bones to make our smoked beef broth. Two zone cooking makes it so easy to control the smoke infusion and produce perfection in any item grilled. 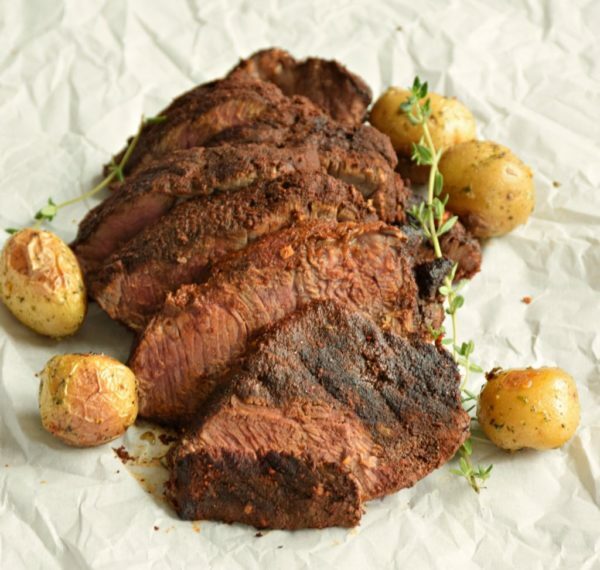 What’s your favorite beef cut to grill and smoke? Bringing innovation to wood-fired cooking with recipes, techniques and the science behind the fire, smoke, and flavor. That’s SmokinLicious®. -WHY IS MY BARBECUE MEAT DRY?? -GIVE ME THAT BEEF BRISKET! 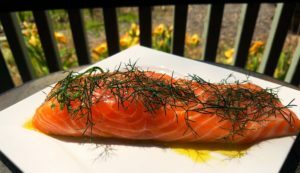 Our gorgeous filet of salmon is awaiting Chef Calle to turn it into Charwood Grilled Salmon on a kettle grill using a two-zone method along with Smokinlicious® wood chips! Chef Calle here and thanks to SmokinLicious® Gourmet Wood Products, I’m going to offer an easy and palate-pleasing method to cook and lightly smoke fresh salmon fillets over a Charwood fire that features a small number of smoking chips. With this approach, the smoking chips infuse a delicate smoky flavor to the salmon without overpowering its delicious fresh taste. Today, I’m using a Stok® Tourist™ grill, clearly one of the best Charwood grilling and smoking units on the market. If you don’t have a Stok®, just about any Charwood grill will work, if its heat chamber has room enough for both the Charwood and wood chips. Preparation is key with salmon and setting up the cooking equipment. 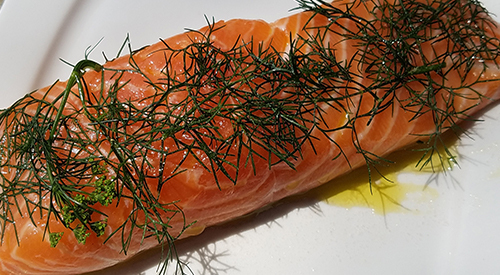 So, first prepare the fresh salmon fillets by lightly seasoning with EVOO, salt, pepper and if you have it- fresh dill or fennel. Let them sit and soak up all those great flavorful ingredients for about half an hour or until the salmon reaches room temperature. Chef’s Tip: Do not use salmon that is past its prime, thinking that the smoke will disguise the slightly off flavor of the fish. Only use the best salmon available. 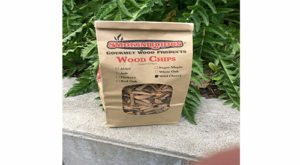 While the fish is marinating, begin preparations for the actual grilling by first firing up SmokinLicious® all natural Charwood using a hollowed chimney starter. Never use charcoal lighter fluid! Or Charwood, charcoal briquettes, pretreated with petroleum-based starting fluid. In addition to ruining your salmon with a foul aftertaste, it’s safer not to consume the residue or remnants from petrochemical fire starter liquids. After your embers have taken on a medium to high heat condition (grayish color), place them directly in the center of the grill’s heating chamber. Put the grill grate on over the fired embers and clean it by using either a halved onion or lemon like you would use a sponge but, do it quickly and in short strokes to avoid getting fingers or hands burned. Next, position small amounts of the smoking chips (a few large handfuls, I’m using SmokinLicious® Grande Sapore) around the outer fringes of the main concentration of burning Charwood. This allows the wood chips to take on two roles- 1) indirectly contributing to the cooking process, and; 2) producing a burst of smoky vapor that flavors the fillets. A minute or two after you’ve positioned the smoking wood chips and reattached the grate, place the salmon fillets, skin side down on the grate, directly over the medium embers and cover. 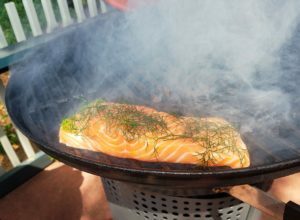 Grill and smoke the salmon for about 4 to 6 minutes, uncover and gently turn the fillets over, cover and grill and smoke the skinless side for no longer than 2 to 4 minutes depending on the thickness of the fillets. Chef’s Tip: Be careful not to overcook. You can gauge the finish of the fillets be being able to flake them with a fork. When done, remove the skin by gently peeling away with a fork or just serve skin side down. For a nice finishing touch, brush with a bit more, high-quality EVOO, season with freshly ground salt and pepper to taste. Feel free to garnish with fresh dill, fennel edible flowers or lemon. Hope you enjoyed Chef Calle’s recipe Charwood Grilled Salmon Fillets for a Hint of Smoky Flavor! Skip the bottled marinades and seasonings that can be loaded with sodium, and make your own salt-free spice blends! 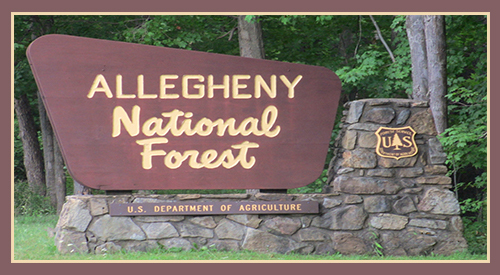 The precious Forest Covers 513,175 acres (801.8 square miles) and includes the Allegheny Reservoir Natural Habitat. It is likely when you have your heart set on some wood-fired cooked foods that you give little attention to the wood that will be required for that cooking event. You may have seen wood smoker chips or chunks available in your local box store and decided that you can always pick those up last minute, to be assured your plans aren’t foiled. Or, you simply plan to go with charcoal chips without considering that this product is made from wood as well. STOP and ponder this for a moment – Do you realize where exactly those wood products come from? Unless you are in a direct county of involvement, you likely have not realized the invasions that are occurring readily to our forests, woodlots, and home landscapes. Polyphagous & Kuroshio Shot Hole Borer affecting sycamores, willows, oaks, maples (including Boxelder), and commercial avocado trees. EVERY state in the US has battled imported forest pests with the hardest hit being New York State followed closely by MA, WI, IL, VA, MI, NJ, OH, and CA. Every decade, 25 new insect pests are established in the US which can lead for potential decimate of an entire tree species in just decades. So why if you are a lover of BBQ smoking chips or BBQ wood chunks (smoking using wood chunks or woodchips) or other wood-fired foods, should issues with bugs be of concern? Because cooking by fire is the oldest known cooking method for humankind. Right now, you may simply enjoy 3 benefits of trees: for shade, for beauty (viewing), and for a flavor to foods cooked on your grill/smoker. The pollutant removal alone that trees are responsible for provides a human health benefit worth $6.8 billion per year! Trees keep us alive! As of December 2016, NYS DEC has detected an increased prevalence of Oak Wilt in the state which has no known treatment to contain and kill this fungus. Oak is one of the most popular hardwoods for wood-fired cooking methods. Please, take the time to source wood for cooking from reputable sources and follow the laws in place in your specific state to ensure we can limit the spread of these pests and diseases, and continue to enjoy the oldest method of cooking: by fire! -ARE FRUITWOOD TREES LIKE THE APPLE “SNOW WHITE” BIT INTO? 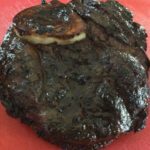 -SHOULD YOU GRILL WITH MOLDY WOODS? 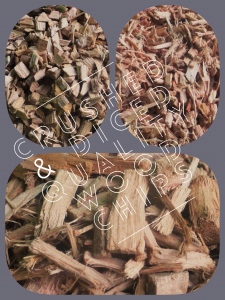 CRUSHED OR DICED WOOD CHIPS? You see the options all the time. Crushed or diced tomatoes? 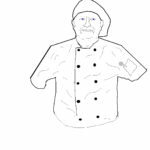 Every chef knows when and why you choose one over the other. Did you know the same concept is true for wood chips? At SmokinLicious®, the only true cooking wood Company, we produce our wood chips in the same manner as tomato processors! We crush the wood for our Grande Sapore® chips – these pieces produce a unique flavor because of their shape just like crushed tomatoes give a deeper flavor to recipes! These chips are meant to last and work with other ingredients for full flavor balance. We also offer our “diced” option of predetermined wood slices to produce our Minuto® and Piccolo® chips for smoldering on heat plates, cast iron, and flavor bars. Just as diced tomatoes give a fresh-from-the-garden taste, diced wood chips likewise produce a different, often more intense fresh wood flavoring. 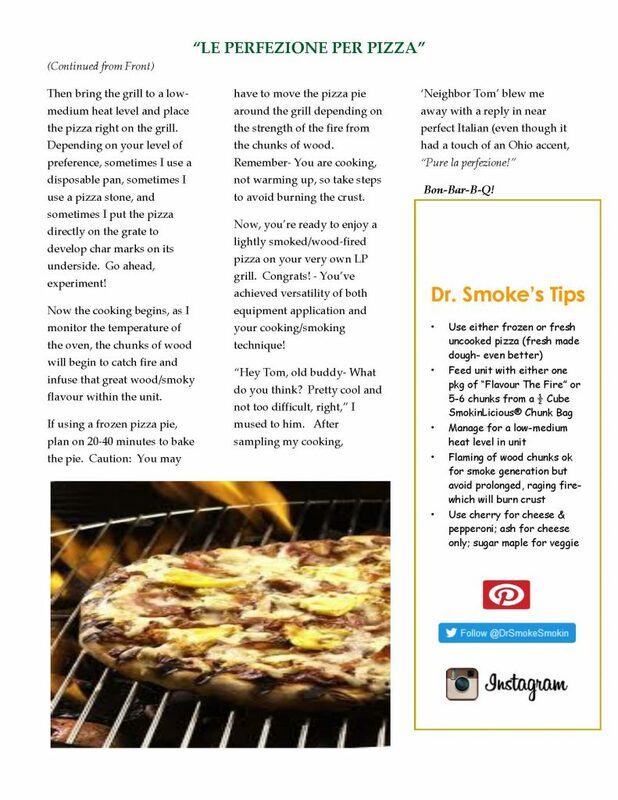 SmokinLicious® only manufacturers cooking woods. That is our primary and only business. We know hardwoods for cooking, all types of wood-fired methods. 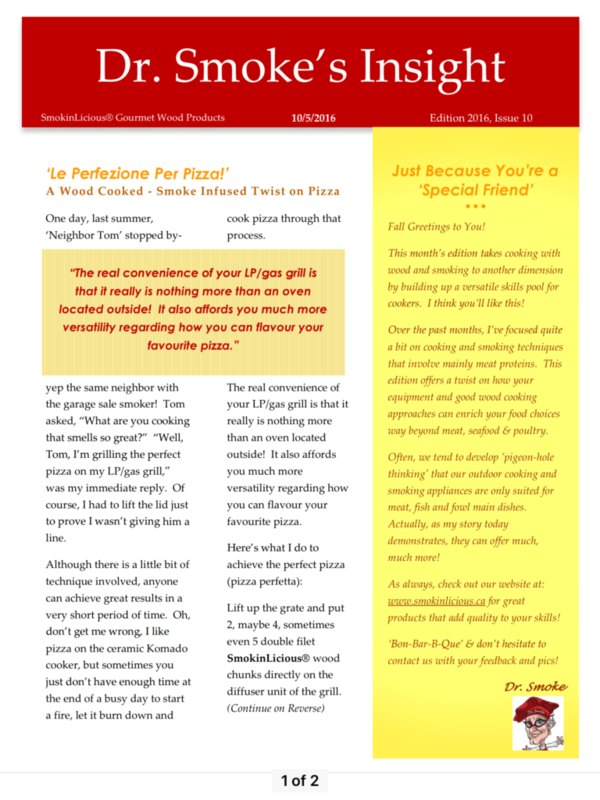 And we know wood flavoring – how to get the best clean flavors from the select hardwoods ideal for cooking! See for yourself why we are a superior product with a superior outcome. Enjoy the benefits of the knowledge of our flavorists and get the options you are looking for. Made the SmokinLicious® way! JUST BECAUSE YOUR SMOKING FOOD (THAT IS!) DOESN’T MAKE IT ALL BAD! 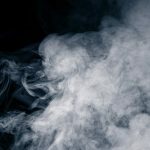 Recently, I received a very interesting question regarding the safety of ingesting foods and beverages that have been exposed to smoke vapor using hand-held food smokers. Specifically, the question consisted of whether you need to be 18 years of age for items that have been infused with smoke using these gadgets. does the word “smoke” automatically give off the bad vibe response? why do people only inquire about the smoke without needing to know more about the plant source that produces that smoke? There is a lot of data out there on carcinogenic effect to high heat grilled foods like burgers, chicken, and steaks, even data on hot smoking foods at lower temperatures. Really, what it all boils down to is, if you grill meats to the point where you blacken them, that increases the risk for the carcinogens. Even if you cook to the blacken state, eating these foods in moderation will halt any real risk over an average person’s lifetime. So why the question on legality to consume smoked foods and beverages? If you understand that the tobacco industry had to start putting warning labels on tobacco packaging back in 1966, and smokeless tobacco products in 2010, then you comprehend that smoke vapor does contain toxins. Everything regarding the level of toxicity with cooking is related to the type of food, method of cooking, cooking temperature, and length of cooking time. Let’s examine those parameters from the handheld food smoking perspective. You are not cooking the food by this method, merely infusing it with the smoke flavonoids, so there is no temperature (cold smoking technique). You are not exposing the food to smoke vapor for hours – it really comes down to minutes. Most importantly, you are not directly attempting to inhale the smoke vapor into your lungs. Yes, if your standing near the container that is holding the cold smoke when you open it, you will have some exposure but not like the person that takes a drag directly from a tobacco product or is chewing on a tobacco product! Like anything else in our world, there are risks to everything we do, experience, sense, taste, explore, desire. Hot smoking is another name for roasting just at a lower temperature and usually with cheaper cuts of meat. What should never be compromised is the plant material – the wood – that is used to extract these flavors. Really, I believe it is time to start asking more questions about the hardwood products (don’t even start me on softwoods and waste wood!) being used for the smoking process rather than focusing on the process itself. Perhaps the risks associated with dirty, moldy, contaminated wood are too high to ignore anymore. Dr. Smoke hopes you enjoyed-JUST BECAUSE YOUR SMOKING FOOD (THAT IS!) DOESN’T MAKE IT ALL BAD! TO THE SMOKE THE CHESTNUT GOES! TO THE SMOKE THE CHESTNUTS GO ON A STOVETOP SMOKER! Depending on where your located, chestnuts may only be available for a short period each year, usually around the holidays. Mostly pan roasted in the oven, why not do something unique with this prized fruit and smoke them! In addition to the chestnuts, you’ll need a stovetop smoker, purchased or you can make your own with tools likely in your kitchen. 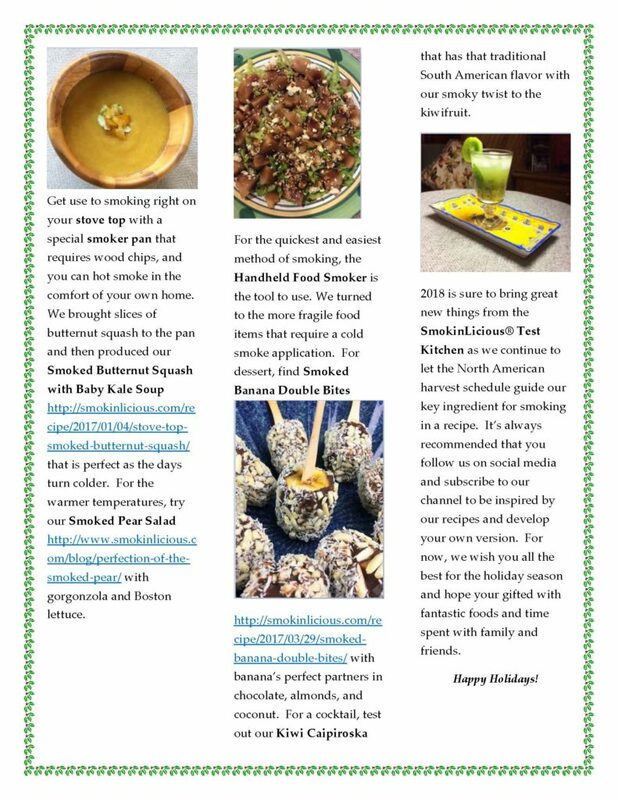 You can see our writing on the “The Kitchen Find” which will guide you on what is needed. about 2 hours of time. Be sure you also have a hood vent where you will be using the stovetop smoker in order to maintain a smoke-free kitchen. You will find chestnuts available prepackaged or in bulk when in season. Although the packaged product will include a directive to cut an X in the flat surface of each nut, I grew up in a household where we always cut off the stem side. This is the small, dark cap side to the chestnut. The chestnut has a cap and a pointed end giving it a bloated teardrop look. I have found that when smoking, I get better control of the smoke infusion with a fresh cut to one end. Keep in mind, not all the chestnuts purchased will likely be viable as often mold will take hold of some of the chestnuts which you won’t see until you cut into them. As the chestnuts age, they can develop a fuzzy mold on the outside which will tell you not to waste your time cutting that one open! Simply discard! Generally, chestnuts have a flat side and a rounded side. lay the chestnut on the cutting board with the flat side down. Place your knife blade over the small dark cap, and slice off in one motion. This will reveal the chestnut meat inside which will have a yellow-white hue. Once the cap is off, you’ll be able to tell if any mold has set in as it will have a marked gray/black appearance. If any mold is noted, discard the chestnut as it won’t cook tender. If the majority is free of mold, go ahead and keep it for the smoking/cooking process. a drip pan to prevent rendered fat and juices from entering the wood. Generally, you only need the drip pan when you actually have a food item that will produce juices or fat drippings. Note: Chestnuts will not produce any drippings though they do have a percentage of water that will be released as steam into the lid of the pan. Just be sure when you open the lid that you keep any collected water from dripping back into the cooking grate. Now it’s time to start the heat under your smoker pan. Place the base of the stovetop smoker over the burner and turn the burner to medium. Add about 1 handful of wood chips. I am using SmokinLicious® Minuto® Wood Chips Size #6 in Wild Cherry which will provide great color to the chestnut’s meat. 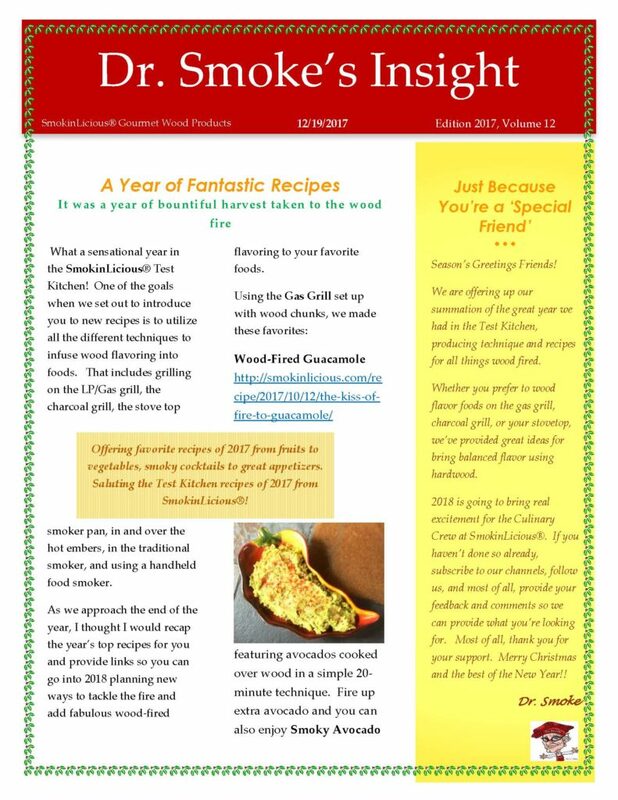 The wood chips will combust and char but they will not ignite and there won’t be any need to add any additional wood chips. One handful is all it will take to both cook and flavor the chestnuts. 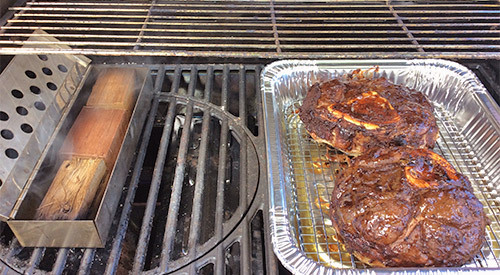 After adding the wood chips to the smoker base, place the grill pan on next. Take the prepared chestnuts and spread them evenly into the grill pan. Then cover with the lid. Do not change the heat level during the cooking/smoking process. There is no need to rotate the chestnuts as the cut end will ensure that the heat and smoke vapor penetrate each piece. The cooking process will take between 40-60 minutes depending on the number and size of the chestnuts used. I usually do a check about 30 minutes in order to gauge the total cook time. As you check the chestnuts and start seeing the shell separate from the meat, you’ll know you are getting close to the tender stage. Here is my trick for checking for doneness. Take the end of a paring knife and gently insert the tip into the center of the chestnut meat. If the blade passes into the flesh without effort, you are finished with the cooking process. Turn off the heat to the smoker pan and allow the chestnuts to rest for a few minutes before removing from the pan. Remember, these shells will be very hot so use tongs to remove them from the pan. You can see that despite the Minuto® Chips being exposed to consistent heat for about an hour, they merely smolder and char, never igniting. In fact, you could easily use these chips again for another short cook item and they would still give off great flavor. Once the chestnuts have cooled enough to handle, I remove all the shell and membrane. These golden beauties are now ready to eat or to add a special flavor to recipes calling for chestnuts. Just another way to bring something new to a seasonal favorite. 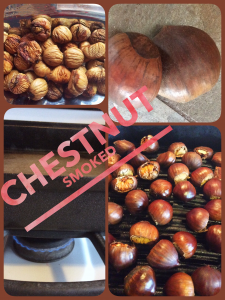 Try this seasonal favorite of ours- to The Smoke the chestnuts go on a stovetop smoker! 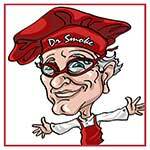 Dr. Smoke- Great for the holiday to the smoke the chestnuts go on a stovetop smoker! EMBER FIRED ASPARAGUS ON THE HIBACHI IS A PERFECT WAY TO ADD A GRILLING FLAVOR! Its Asparagus season and that means you should get the most out of this sensational vegetable while it’s fresh! Learn how easy it is to ember roast this thick skinned vegetable to bring out the fantastic flavor of this vegetable as a side dish, or used as an ingredient in other recipes like a refreshing dip, soup, or stuffing for meat or fish. Clean the Hibachi or small charcoal grill unit of all previous ash, as well as any leftover wood and charcoal. Add the SmokinLicious® Gourmet Wood Products Grande Sapore® Wood Chips in the base of the Hibachi on the charcoal grates. If not using a Hibachi unit, then place the wood chips in the charcoal area of your small charcoal grill. I like to use Wild Cherry Grande Sapore® Chips to bring a balance to the asparagus’ flavor. Since I plan to use my roasted asparagus as an ingredient in other recipes, I’m using the chips in their natural state rather than soaking in a flavored liquid but feel free to soak in wine, alcohol, juice or other liquid of your choice. After loading the Hibachi or other unit with my Grande Sapore® Cherry Chips, I light the chips using a small kitchen size torch. I let the chips burn down until I have about 2-3 inches of hot embers to cook with. I need the layer long enough to accommodate the spears of asparagus and deep enough to ensure the embers encircle most of the spear. I keep plenty of extra Grande Sapore® Cherry chips on hand to ensure I get the depth and size of the ember bed throughout the cooking process. This includes maintaining a perimeter of unlit chips around the hot embers. While I wait for the chips to burn down into embers, I start preparation of my fresh asparagus. First, I gently clean the spears and then trim the bottoms just where they are a bit dried out and tough. I gently pat dry and leave them in a tray to wait on the fire. I drizzle some oil over my asparagus spears and sprinkle with sea salt and fresh ground pepper. The oil will help the seasoning stick to the spears and also ensure an even cook on the asparagus. Letting the asparagus sit while you wait on the embers allows the seasoning to penetrate the stalks, giving it additional flavor. Once I have a bed of hot embers, I’m ready to cook! 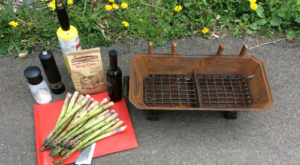 I won’t be needing the grill grates as asparagus has a nice thick skin so it’s an ideal vegetable to be placed directly on the hot coals. Prior to adding the asparagus, I add some more wood chips to the outside perimeter of my cooking area so that I will be able to bring in new embers as needed. In addition to providing new embers, the unlit chips will provide additional heat to the grill as they ignite. 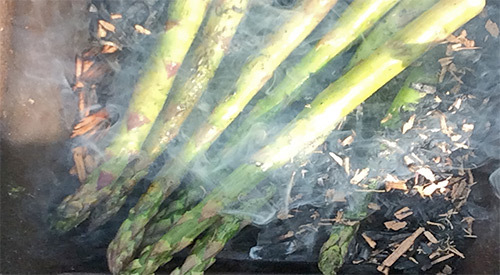 I lay my asparagus spears into the hot embers allowing the coals to wrap around the majority of each spear. As I’m using very thick diameter spears, I will let the asparagus cook in the embers for about 10 minutes prior to checking on the char level. Just like with conventional cooking, you’ll see the asparagus get a brighter green sheen as they cook through. Once I see a nice layer of char develop to the skin, I will turn the spears with tongs. The oil will also give a nice golden hue. I’ve turned the asparagus spears only as the char develops on each side until they are fully charred and the spears have tenderized. You’ll know the perfect tender level when you prick the spear with a knife tip and it just penetrates. Now I’m ready to use these beauties in my recipes but only after a few spears are enjoyed as is. Ah, the perks of cooking over hot embers. Try our EMBER FIRED ASPARAGUS ON THE HIBACHI IS A PERFECT WAY TO ADD A GRILLING FLAVOR! Bon-Bar-B-Que! 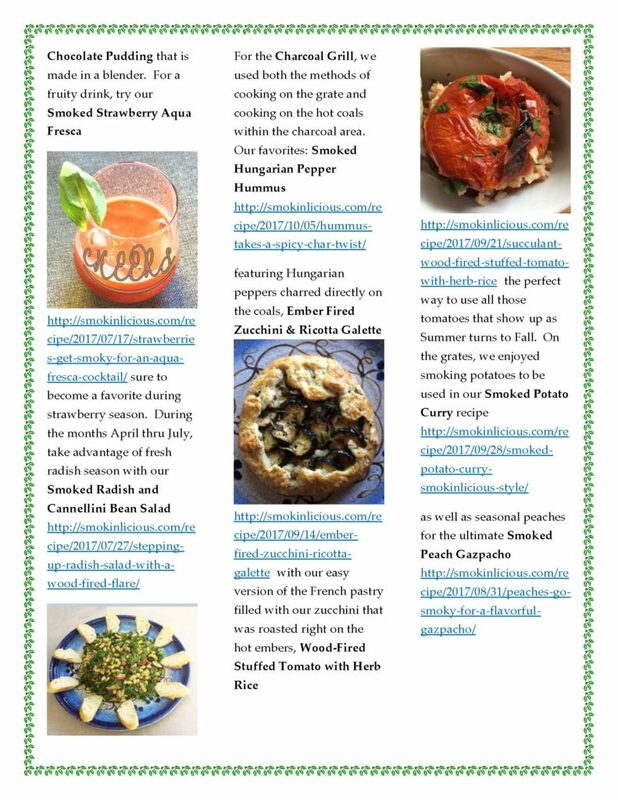 As a new feature to our blog and recipe section, we will be highlighting a seasonal product in a smoking or natural wood-fired grilled recipe, to help you take advantage of the wonderful seasonal offerings we have for fruits and vegetables. For the most part, we will be following the harvest schedule in the Northeast but may occasionally make reference to a different region’s harvest schedule. For September, we our highlighting potatoes! One of my favorite variety of potatoes is Fingerlings. Feel free to modify the recipe below to your preferred ingredients. Tear a large piece of foil to make a pouch or use a disposable cake foil pan. If using a disposable pan, also cut a foil sheet that covers the pan. Place the pre-cut fingerling potatoes, cooked pancetta, sliced onion, and dill in the foil pan or pouch. Add salt and fresh pepper to preference. Toss all ingredients together then drizzle the 1/4 cup of olive oil over the ingredients. Mix thoroughly. 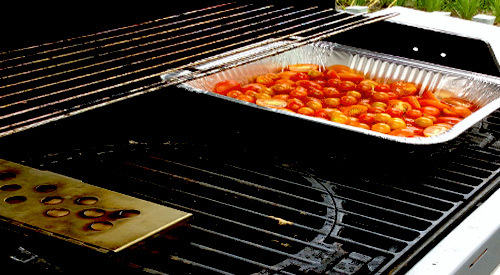 Place foil pan or pouch on pre-lite charcoal grill, with woods placed directly under the mixture. Allow to cook/smoke until potatoes become tender (about 2-1/2 hours at 200 degrees). Serve warm.